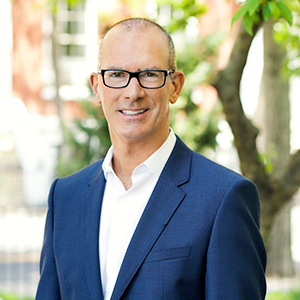 As the founder and managing partner of The Private Client Team at Compass, Kevin Sneddon leads a nationwide sales team of client-driven, results-oriented luxury real estate professionals of the highest integrity. Like Compass, Kevin rejects a business-as-usual approach to real estate. He believes in doing things differently, leveraging state-of-the-art technology to elevate the client experience. By deploying this "high-touch meets high-tech" methodology, Kevin is uniquely positioned to help clients successfully navigate the increasingly complex luxury real estate market. Operating his own brokerage for 15 years, Kevin cultivated his formidable broker prowess by closing over $750 million of transactions across every property type. Among his prolific sales in NYC, the Hamptons and Greenwich, you'll find a multitude of record-breaking deals upwards of $38 million. You’ll also find an array of unique properties – including NYC townhouses & penthouses, Hamptons oceanfront & equestrian estates, as well as grand Greenwich compounds. His abundant industry accolades include being ranked one of the top 250 brokers in the U.S by The Wall Street Journal. During his prior career in financial services marketing & business development at American Express, Kevin learned that it’s not just about what you do, but how you do it. Continually performing at the highest possible level — from every vantage point — is Kevin’s purpose. This determined approach served him well as he transitioned from corporate executive to real estate entrepreneur. Operating as an investor/developer for several years, Kevin fostered a deep understanding of real estate investment, development, architecture and design. This experience grants him the ability to relate to the perspectives of buyers, sellers, landlords and end-users as he utilizes his analytical dexterity to strategically advise clients on how to buy effectively – and how to maximize the value of any property. Kevin knows that real success in this dynamic arena requires a combination of boundless drive, hard work, creativity – plus the use of every critical skill imaginable. It’s the difference between solving problems when they arise and solving problems before they arise. It’s being a consummate professional and a trusted advisor of the highest caliber. It’s the mindset that it’s all about the client – all the time. Kevin realizes nobody succeeds alone. He firmly believes in the limitless power of a team, where complementing skill sets align to create an unparalleled level of service. This strategic approach, where everyone plays to their respective strengths, consistently delivers the desired result — each and every time. Kevin Sneddon and The Private Client Team are at your service. We are a nationwide sales team comprised of client-driven, results-oriented and supremely dedicated luxury residential brokerage professionals of the highest integrity. Like Compass, we believe in doing things differently – not as things have been done, but as things should be done. By deploying a compelling “high-touch meets high-tech” approach to luxury residential brokerage, we help our clients successfully navigate the increasingly dynamic & challenging luxury real estate markets. We also recognize that real estate has become a global asset class – and that our clients own multiple properties in several markets. That’s why we’re uniquely positioned to deliver a seamless experience across our clients’ entire real estate portfolio – which includes delivering strategic advice & consultation to support critical decision-making. We firmly believe our overall capability is beyond compare – and we welcome the opportunity to demonstrate what the The Private Client Team can do for you. Greg Norman's Seven Lakes Ranch is a sportsman's paradise encompassing 11,600 acres of varied terrain. Seven Lakes features 8,000 acres of arguably the best elk hunting in North America. Enjoy over two miles of the White River, a competitive clays course, 1,500-yard long range rifle course, and miles of horseback riding and hiking trails. Set amidst the White River national forest, the property is comprised of the newly renovated nine-bedroom main lodge, guest cabins, staff housing, a historic dance hall, a fitness center with outdoor Jacuzzi, and fully-equipped horse facilities. Seven Lakes is a retreat for buyers seeking a private, quiet haven with expansive, uninterrupted views and miles of White River frontage. Located in the Meeker Valley, 7L is convenient to Colorado's major ski areas, including Vail, Aspen, and Steamboat, all less than 30 minutes by helicopter.